Column: What can we do to protect Medicare and Social Security? Editor’s Note: Journalist Philip Moeller, who writes widely on aging and retirement, is here to provide the answers you need. Phil is the author of the new book, “Get What’s Yours for Medicare,” and co-author of “Get What’s Yours: The Revised Secrets to Maxing Out Your Social Security.” Send your questions to Phil. And check out his Recommended Reading section with links to notable stories and reports at the end of today’s post. Suzi: What can we do to protect Medicare and Social Security? Where can we volunteer? We are a part of the baby boomers. We need to be able to depend on Medicare and Social Security. What about all of that money that we put into these programs during our working lives? Is there anything we can do? 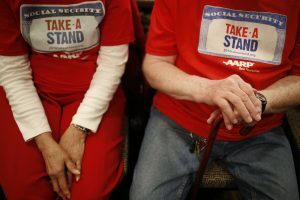 Phil Moeller: AARP and the National Committee to Preserve Social Security and Medicare might welcome volunteers as they step up their efforts to protect these programs. You also can register your feelings with your U.S. representative and senators. As Republican proposals take specific shape, I will be writing about them and will make a point of looking for how people can make their concerns known. Debra: What might it be like if Social Security were to be privatized? I am 57 years old and planning to retire at age 60; my husband is already retired at 60. We are not rich and wonder what happens to the money we have paid into Social Security for more than 40 years if, in fact, Social Security were ever to be privatized? 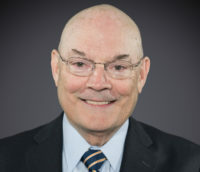 Phil Moeller: I was going to reply that I think privatization is unlikely, but of course so much about where we find ourselves these days seemed unlikely just several weeks ago. So I understand and appreciate your concern. During the Great Recession, Social Security continued meeting its full payment obligations, even as many 401(k)s became 201(k)s due to stock-market losses. I have never seen a privatization proposal that would take away the funds you’ve already contributed nor the benefits they have entitled you to under the current rules. More likely, you would have the option of placing some of your accumulated payroll taxes in a choice of private investments while leaving the rest in the current trust fund, where it is invested in a special series of U.S. Treasury bills. As an investment decision, people who are relatively close to retirement, such as you, would want to minimize your investment risks and would thus minimize the amount of money you place in privately managed funds. Younger people, however, might have greater appetite for risks, especially since many of them already believe the Social Security trust fund will be depleted by the time they retire. They may well prefer private investment accounts to the current system. I have long believed the current Social Security system is preferable to one with private investment choices. During the Great Recession, Social Security continued meeting its full payment obligations, even as many 401(k)s became 201(k)s due to stock-market losses. People nearing retirement simply do not have the time to recover from such a huge hit to their retirement funds. Another great strength of Social Security is that its payments are guaranteed by the U.S. government. Unless private investment firms paid substantial insurance payments in a privatized system, as banks do to insure deposit funds, I could not support the continuance of such a guarantee. Jolanta: My husband passed away at the age of 64. I am 62 now and visited Social Security to find out about my survival benefit. They told me I can either take my benefit which is $694 per month until I am 66 and then apply for his full benefit (which will be always the same amount as it was at the time of his death — $2,700) or I can take a reduced amount of $2,250 now and receive it until the end of my life without possibility of changing it. Does this mean that I should receive my reduced benefit of $694 and my husband’s benefit of $2,250 or $2,700 at the same time? I am very confused. I wanted to go with the option of receiving mine until I turn 66 and then his full amount, but they told me this would be very unwise and that I would lose a lot of money. I did the math, and it depends on how long I will live. If I live more than 13 years, it seems like my choice would be better. Could you please help? Phil Moeller: Condolences on the loss of your husband. From what you’ve described, it seems like your best choice is to take your retirement benefit now and then switch to your survivor benefit at age 66 when it will have reached its maximum value. You say Social Security told you this would be unwise and cost you a lot of money. However, I don’t understand why they would tell you this. I certainly do not see why you would want to take a reduced survivor benefit now and get locked into this reduced amount for the rest of your life. Unless your health is bad, you stand to live another 20 to 30 years. You need to plan on how to have enough money when you’re 92, not 62! Under Social Security rules, you would never get the full value of two benefits at once. If you were applying for two benefits, Social Security would look at them and provide you a payment that was about equal to the greater of the two. However, in the case of survivor benefits, you are permitted to apply for either that benefit or your own retirement benefit and to let the benefit you’ve not applied for increase over time. Nancy: I just turned 65. I am working, and my agency has over 20 employees, which I understand means I do not have to sign up for Medicare now. However, my employer health insurance is not very good. Can I sign up for Medicare? Would Social Security help me? Would it become my primary and cover the hospital costs? How do I figure out what Medicare will cost me? I am very confused. Phil Moeller: You certainly can sign up for Medicare. Under the rules of large employer plans, which is how yours would be defined, your group insurance is primary, and Medicare would be the secondary payer of any claims. You might want to look into getting just Part A of Medicare at 65 and avoiding the extra expenses of Part B and D premiums. Part A covers hospital expenses and would pay secondary to your group policy. There is no premium for Part A for anyone who’s worked long enough to qualify for Social Security benefits, and you don’t have to file for Social Security benefits to qualify for Part A. It’s yours when you turn 65 if you want it. Part A is not compatible with high-deductible health plans, however, so if you have an HSA, you do not want to sign up for Part A.
Steve: My wife intends to draw a spousal benefit on my earnings record when I retire and draw Social Security. I am currently 66 and a half years old and plan on working until 67 and a half. If I apply for benefits for an effective date of December 2017 and elect the six-month retroactive payment, will my wife be eligible for the same treatment? If so, does this make financial sense? Phil Moeller: The key date here is not when you retire, but how old your wife is when she applies for a spousal benefit. Her spousal benefits would max out at half of the benefit you’re entitled to at your full retirement age, which is now 66, not half of what you actually collect. And to max out at this level, your wife has to wait to file for the benefit until she is of full retirement age. Also, please keep in mind that spousal benefits are not retroactive in this case. Your wife is not eligible for a spousal benefit until you have filed for your own retirement benefit. And she is only eligible for retroactive benefits if she is older than her full retirement age. So if you filed when you were 67 and a half, and she was at least 66, she would only get retroactive benefits if she then delayed her filing for up to six months. But unless I’m missing something, there would be no reason for her to delay in this case. Further, your retroactivity is hardly free money and comes at a price. By claiming that six-month retroactivity, you would be giving up six months of delayed retirement credits. Doing so would reduce your monthly benefit by 4 percent for the rest of your life. You might think this trade-off is worth it, and that’s fine. But if you live into your late 80s or 90s, you might wish you had that extra money. You might want to consider just delaying your filing and thus boosting your monthly benefit. Heather – N.Y.: I pay $104 for Medicare, am on disability and have limited income. I have no dental or vision insurance and a high-deductible plan. I also have high copays. How do I go about getting lower payments? Phil Moeller: Medicare has a number of support programs for lower-income folks and what’s called the Extra Help program to defray drug costs. It can be complicated to figure out whether you qualify, so I’d suggest you use the free Medicare counseling service provided by the State Health Insurance Assistance Program, or SHIP. Please let me know how things turn out, and best of luck. Pom: My mom is a widow of 20-plus years. She is now 80 and is collecting her Social Security. Her husband was a retired military guy. And her husband before that is also dead, and he was a retired engineer. After she read your book, she went back down to Social Security to find out how to collect on widow’s pay, and Social Security told her she was not entitled to it. Because her second ex was military, they said she couldn’t collect Social Security. And because the first ex-husband made less than she did, they said she was ineligible. The first husband was an engineer and highly paid. My mom was an administrator her entire life, making only minimum wage. Is there anything she can do to get a widow’s benefits or half of either husband’s Social Security benefit? Phil Moeller: Based on your explanation, your mom may have been given accurate information by Social Security. If her second husband never paid Social Security payroll taxes on his earnings, then he wouldn’t have been entitled to Social Security and neither would she. However, he might have been entitled to a military pension, and your mom might be eligible for a survivor benefit linked to his pension. I suggest you contact a local Veteran Affairs’ office to find out; make sure you have details so the VA can find him in its records. I also can’t tell if what you were told was right or wrong concerning her first husband. I don’t know how much her first husband earned, how old he was when he filed for Social Security, or whether he had filed for it or was even old enough to file when he died. All of these variables can make a difference. So can her own earnings. What she needs is access to Social Security’s “earnings record” on him. It will list his income every year and the amount he paid in Social Security payroll taxes. These are the numbers on which the size of his benefits — and her widow’s benefits — would be based. If she has his Social Security number, she should contact the agency and see if they share that information. She probably will need to provide them copies of her marriage certificate, divorce record and an official record of the date of his death. Lastly, survivor benefits are higher than divorce spousal benefits, so this is the benefit she should seek. As I said, I simply can’t tell if she was given correct information or not. Thanks for taking the time to write, and best of luck. Reporters for The Chicago Tribune took pairs of prescriptions to 255 Chicago-area pharmacies. The drugs were safe individually, but were known to have dangerous and even life-threatening side effects when taken together. Yet more than half the pharmacies dispensed both drugs without issuing any warnings about these side effects. By Sam Roe, Ray Long and Karisa King for The Chicago Tribune. Last March, Medicare proposed reducing the prices it would pay for drugs administered to Medicare enrollees under Part B of the program in outpatient settings such as doctors’ offices and hospital clinics. The proposal would have reduced the share of such prices received by prescribing doctors. Some consumer groups supported the idea, but it was heavily criticized by most health care groups, including doctors and the pharmaceutical industry. Last week, the outgoing Obama administration pulled the plug on the idea. By Robert Pear for The New York Times. Even with health insurance, eternal vigilance is the word of the day for consumers and their families. This is especially true when it comes to surcharges for providers who are not in your health plan’s network and, in the case of Medicare, may not even accept Medicare’s fee schedule. For an emergency room that’s open 24 hours a day, consumers can understandably be surprised if not shocked by what are called “after-hours surcharges.” By Michelle Andrews for Kaiser Health News.